Whenever another creature enters the battlefield under your control, you may gain 1 life. 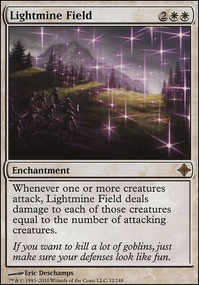 Whenever a creature enters the battlefield under an opponent's control, you may have that player lose 1 life. Add "budget" to the deck's hubs. Wall of Tanglecord is better than Fortified Rampart . Ajani's Pridemate seems appropriate. Soul Warden and/or Soul's Attendant would be good to if you can afford them. Oblivion Ring is incredibly useful. Highly recommend. This deck is close to Pauper. Might be worth considering going in that direction instead of Modern. Love Riot Control - I don't know if people realize this, but it's one of very few spells that say "prevent all damage" vs "prevent all combat damage. That makes RC waaaay more useful! And you get to gain life! Wow!! In that same vein of though. you might consider Pay No Heed over Shielded Passage . I think Oppressive Rays is better than Pacifism . Lower CMC and it disrupts activated abilities. In my experience, people seem to subconciously consider creatures I've enchanted with OR as completely non-functional. 3 is just too high a cost - in most cases people will get more out of 3 mana just playing new spells. Suture Priest might be worth considering. You've got a decent number of Enchantments going. Ethereal Armor might be worth considering. I'm thinking Chalice of Life Flip would be good here, but I will caution you that people in my playgroup hate it and do everything they can to remove it. Mentor of the Meek would probably draw you some cards. I hate the cost, but it repeatable. Brave the Elements is almost certainly better than Center Soul . If you like some of these suggestions I offer help to make cuts. Good luck with your deck. Have you considered Arvad the Cursed ? 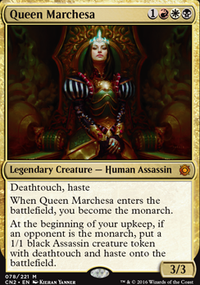 I might even play him as your commander, since he gives an anthem effect (+2/+2) and drop Athreos in the 99. Honestly Atreos shines when he protects low CMC creatures. I don't think you will find a lot of people not paying the 3 life when 1 of your, often very powerfull, creatures dies. Next to that you play black and have a range of (under $9) tutors to fetch him. 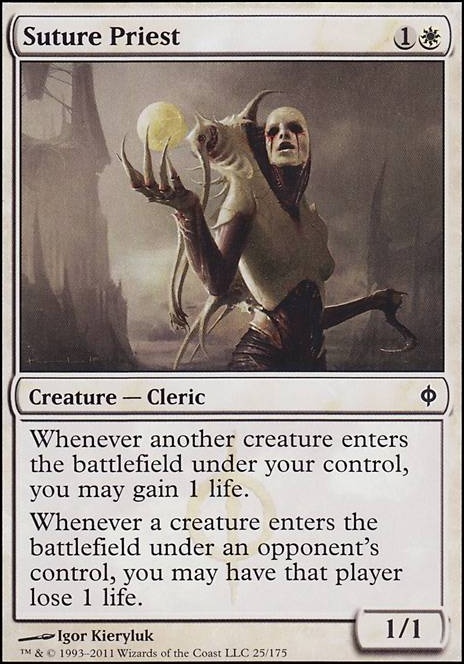 You could throw in a little token/lifegain theme as support (very Orzhov) and play your deck as the guild extorting people and if they don't pay up exile their creatures. (Then Atreos might be super on theme again). Of course all of this above is just a suggestion. 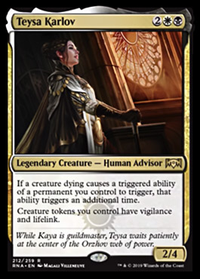 I think in this way you can easily you can keep the Legendary theme alive in your deck, but point in a bit more towards the Orzhov Syndicate. (wich in my opinion is an awesome guild!!) I think I kept a bit on a eye on your budget of $9 a card. If I missed a few my apologies. zenzen10165 I use to run a Selesnya deck that had a playset of Oblivion Sower in it. 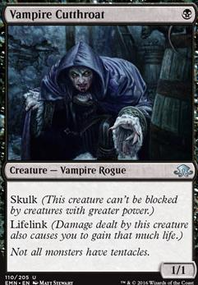 I had him and Avenger of Zendikar as my big cannons, and I would use Jeskai Barricade to blink them back into my hand to play them over and over again. A dirty trick I use to do is have out Suture Priest (I didn't have access to Soul Warden or Soul's Attendant at the time) and blink one Jeskai Barricade with another, gaining tons of life in the process. 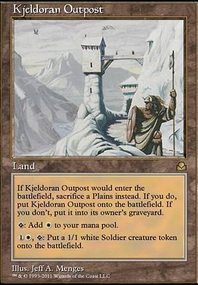 With Karametra, God of Harvests on the field, I'd be able to literally pull all lands out. 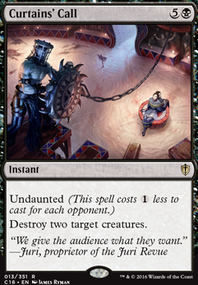 Keep in mind Avenger of Zendikar 's ability - coupled with Retreat to Kazandu . Yeah. This deck pissed off quite a few people. I was in a 1v1v1 match with it and got well over 100 life. In one turn, both opponents opened up with a full swing: Gruul Hydra and 5C Dragons (Using those Khans morph Dragons). I was dealt a staggering 80+ damage by the time it got back to me, and I just shrugged it all off and did it all over again. With Cryptolith Rite on the field, I could literally blink whatever I wanted out just... God. I need to rebuild that deck, for real. It was insane. Darien often is just a Soul Sister's deck that likes to deal damage to itself. 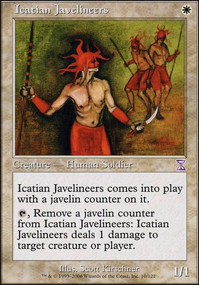 It uses Darien and an effect like Soul's Attendant , Ajani's Welcome or Suture Priest ... Anointer Priest ... Angelic Chorus , Healer of the Pride , Impassioned Orator , Pious Evangel Flip, and Auriok Champion ? I think those are all of them. Then you just tap a Tarnished Citadel , deal 3 to yourself, gain 3 tokens, 3+ life, and have some effects that abuse the token generation. I think Mentor of the Meek or Cathars' Crusade style effects. I'm adding in some Pitiless Pontiff s instead of Tithe Taker s. With all the tokens that will be coming into play, I'm going to use Suture Priest until the price of Seraph of the Scales comes down.